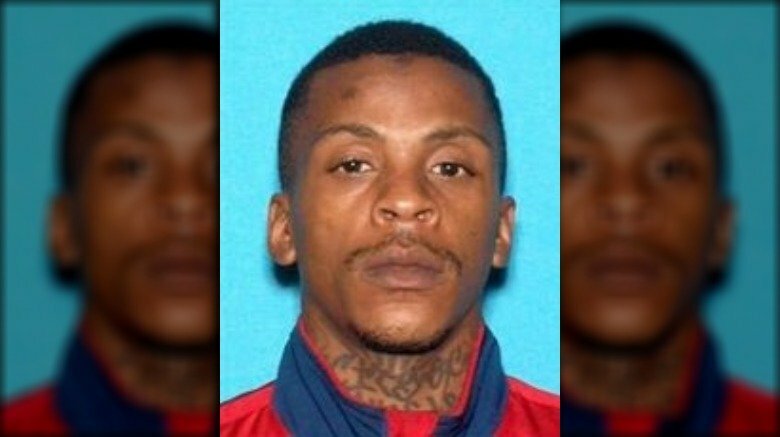 Ermias "Nipsey Hussle" Asghedom's murder sent shock waves around the world. 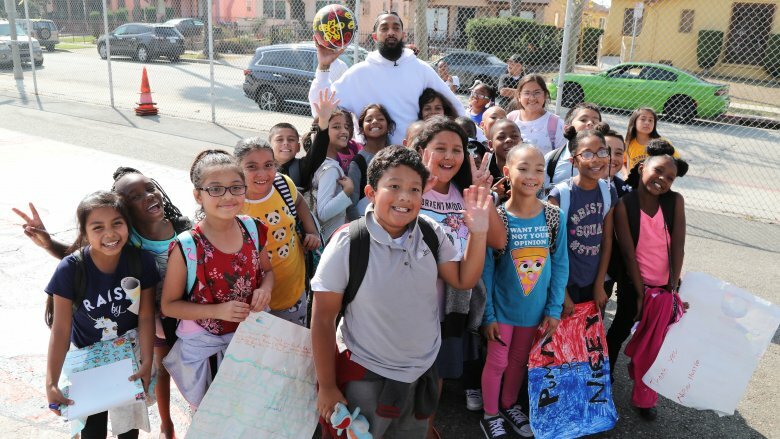 The beloved Los Angeles-based rapper, businessman, and activist was well-respected by his peers for helping to revitalize his community in the Crenshaw District of Los Angeles. He was gunned down in front of his business, The Marathon Clothing store, on March 31, 2019. The 33-year-old entertainer was pronounced dead at the hospital, according to TMZ. 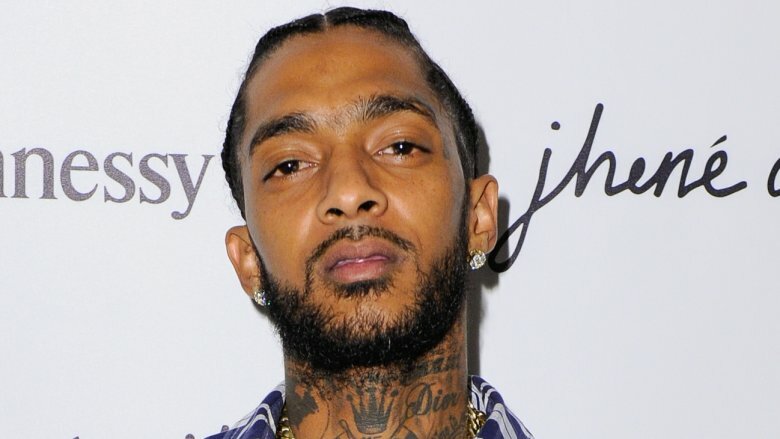 Following the "Hussle and Motivate" emcee's death, much has been reported about Nipsey Hussle's contributions to his community and his desire to bring gang violence to an end. Sordid details have also emerged about the moments leading up to the fatal shooting and the manhunt underway for his alleged killer. Some reports suggest the slain rapper had a close relationship with the suspect. Let's take a closer look at everything that's come out about Nipsey Hussle since he died. 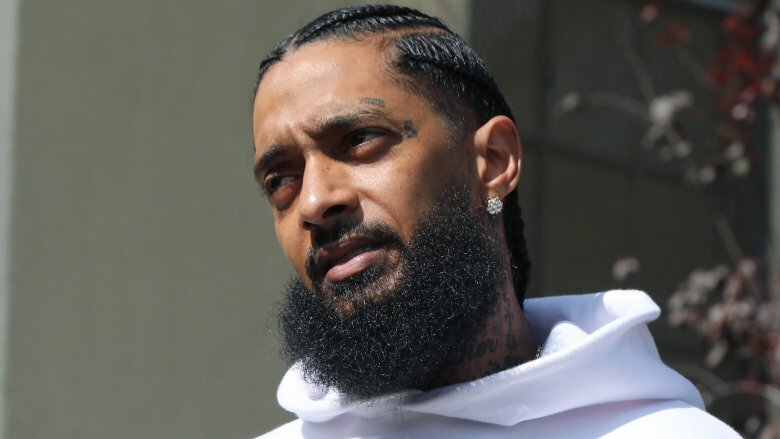 Anonymous sources told the Los Angeles Times that Los Angeles police detectives believed Nipsey Hussle's killer was someone the rapper knew. Although he had ties to the infamous Rollin' 60s Crips gang, "the motive is likely personal in nature rather than a larger gang feud," the L.A. Times reported. 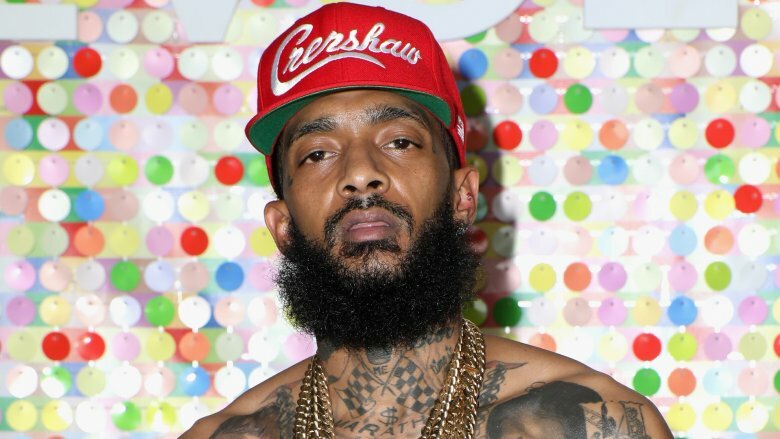 An additional source said the emcee and his alleged killer had a tense exchange, and according to TMZ, Nipsey Hussle allegedly asked his killer "if he had snitched to cops in the past because that was the word on the street." The suspect reportedly felt disrespected after that encounter and allegedly "left to grab a gun." Those aforementioned reports from anonymous sources clearly only suggest a fraction of what really went down. The true nature of the crime — which was captured by nearby surveillance footage — proved to be far more gruesome and cold-blooded than anyone could imagine. Paramedics were called on March 31, 2019 to Nipsey Hussle's The Marathon Clothing store in Los Angeles' Hyde Park neighborhood after gunfire erupted. The "Last Time That I Checc'd" rapper was "taken to the hospital where he was pronounced dead at 3:55 p.m.," a coroner told People magazine. As news spread and reeling fans grieved, the Los Angeles County Department of Medical Examiner-Coroner revealed Nipsey Hussle's cause of death. An autopsy determined that the rapper "died from gunshot wounds of the head and torso," the coroner said in a statement (via People), confirming that the death was "certified as a homicide." Two other victims were also reportedly shot during the attack and listed in stable condition, according to People. Surveillance cameras placed strategically around the strip of stores where Nipsey Hussle was killed captured the heinous crime frame by frame. TMZ shared the footage, which shows a man in a dark shirt opening fire on a group of people. The suspect can be seen walking away after the initial gunfire, only to return a second time to open fire on Hussle again. He leaves again, but soon returns to shoot at the rapper a third time, kick him, then flee. On April 2, 2019, the Los Angeles Police Department issued an arrest warrant for a 29-year-old named Eric Holder, per TMZ. That afternoon, he was taken into custody. A witness reportedly spotted him about 20 miles from the scene of the shooting and contacted authorities, reported CBS News. According to TMZ, a woman "who drove the getaway car spoke with LAPD detectives … and was allowed to go free." The tab reported that she "could be arrested and/or charged at some point in the future." 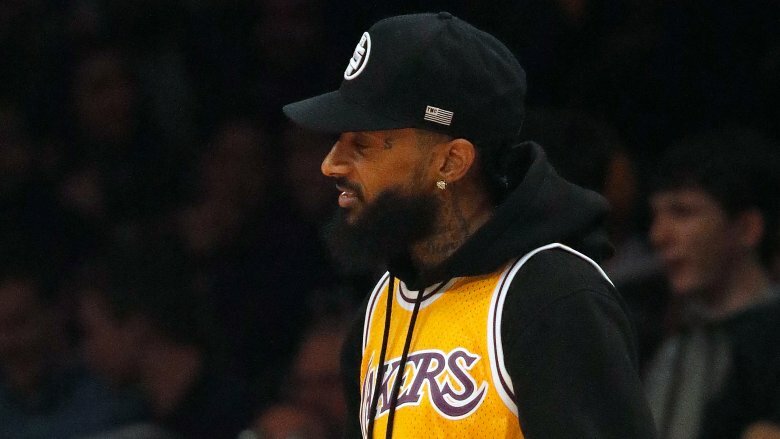 According to the Los Angeles Times, law enforcement sources alleged that Holder and Nipsey Hussle "got into a dispute before the shooting." The late rapper and his loved ones received an outpouring of condolences from Los Angeles and beyond, including messages from a number of professional athletes. The Los Angeles Clippers paid respect to Nipsey Hussle with a pre-game tribute – an image of the emcee was displayed on the jumbotron as his song, "Last Time That I Checc'd," blared through the speakers. The Clippers also created a basketball jersey in his honor, with "Hussle" printed on the back. The Clippers' cross-town rivals, the Los Angeles Lakers, posted a touching tribute to the rapper on the team's Twitter feed, and star player LeBron James posted a tweet that read: "So so SAD man!! D**N man this hurt." The Golden States Warriors also blasted Nipsey Hussle's music on the court. 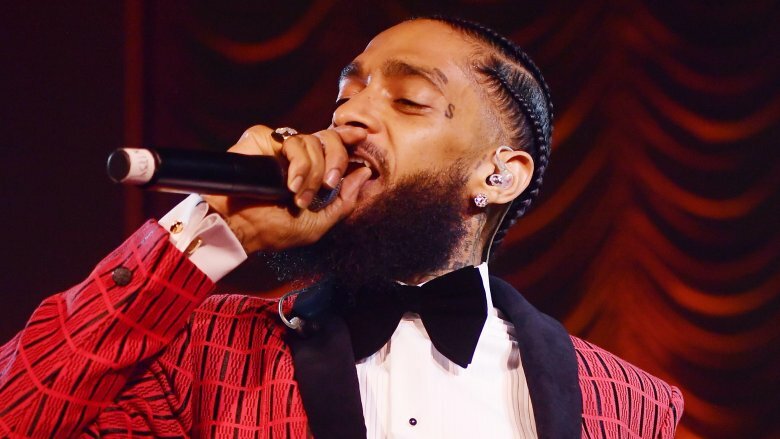 Their frontman, Stephen Curry — who recorded a segment with the rapper on his YouTube channel in July 2018 — called Nipsey Hussle's death a "sad, sad, tragic event" during a news conference. Former NFL quarterback Colin Kaepernick also weighed in, tweeting: "Keep his legacy alive by carrying on his work!" Nipsey Hussle wasn't shy about his gang ties. He infused his affiliation with the Rollin' 60s Crips into his music, but he said he wasn't trying to celebrate that lifestyle. "In my eyes, it's like, Nah I'm not promoting it. I'm just speaking on it," he told Complex. After his death, Police Commissioner Steve Soboroff tweeted that Nipsey Hussle had requested a meeting with him and Jay-Z's Roc Nation entertainment company "to talk about ways he could help stop gang violence and help us help kids." Nipsey Hussle was murdered the day before that scheduled meeting. "I'm so very sad," Soboroff said. The rapper's efforts to bring peace to the streets won't be in vain, however. Soboroff told NBC News that representatives from Roc Nation requested to reschedule the meeting and "proceed out of respect for Hussle, who was an advocate for his native South Los Angeles." Mourners descended upon The Marathon Clothing store to remember the Grammy-nominated musician and community organizer. A candlelight vigil took place on April 1, 2019, but chaos broke out during the memorial. Page Six reported a "stampede of mourners on the streets at about 8:20 p.m. local time," and rumors spread about gunfire at the scene. "Reports of shots fired at the vigil do not appear to be accurate. We do have injured in the chaos and are attempting to restore order," the LAPD tweeted. A memorial that was erected in Nipsey Hussle's honor was destroyed in the melee, but volunteers reportedly worked diligently throughout the night to clean up the debris. According to NBC News, they took time "re-lighting candles and replacing other items after a chaotic night" and "swept garbage, including shattered glass candle holders." Thanks to those efforts, a peaceful memorial was resurrected. The following day, NBC News reported that "there were few signs of the disorder from the night before" as mourners continued to visit to pay their respects. The day he was murdered, Nipsey Hussle tweeted: "Having strong enemies is a blessing." Little did we know at the time that this would be his final message and an eerie indication that there was turmoil brewing in his life. In the days leading up to his death, the "Double Up" lyricist was filming a music video in Inglewood, Calif. with John Legend and DJ Khaled, according to a tweet posted by Legend. TMZ reported that filming took place in a multi-level parking structure, and "production only booked the top two floors." Over concerns for Nipsey Hussle's safety, "10 armed police officers" were reportedly hired to stand guard. According to TMZ, "It's unclear why, but we're told they were scared someone would try sneaking on set and killing him." 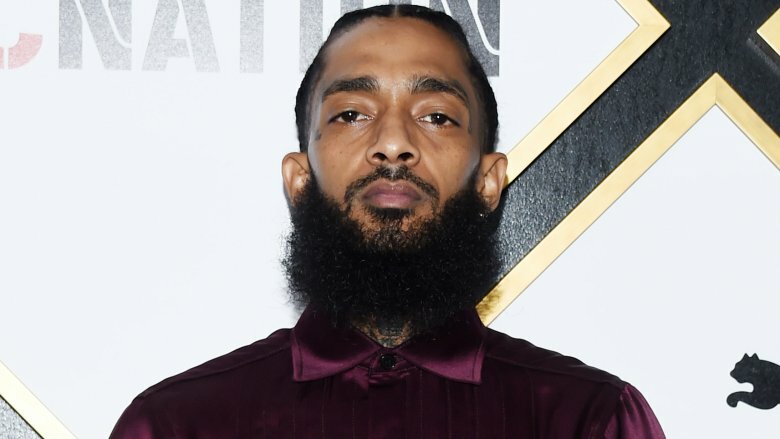 TMZ also reported that "someone was out to kill Nipsey Hussle just days before he was murdered."